After awhile, IPA after IPA after IPA, they all sort of blend together. Sure, some are smoother than others, but I was getting in a rut. I have a stack of IPAs I wanted to bring to the site, but I was hitting a wall writing about them larger than the IBUs. Sierra Nevada has a novel variety pack of four different IPAs, most of which, in Austin at least, are only in the variety pack. With four IPAs in one box, the only thing came to mind was which one was the most interesting? 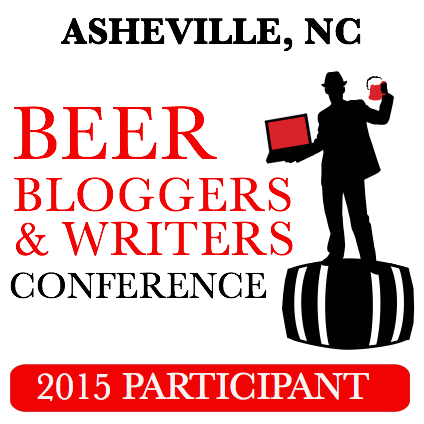 We have two initial rounds: Blindfold Black vs Torpedo Extra and Ruthless Rye vs Golden IPA. They were seeded by IBUs—a higher and lower division. 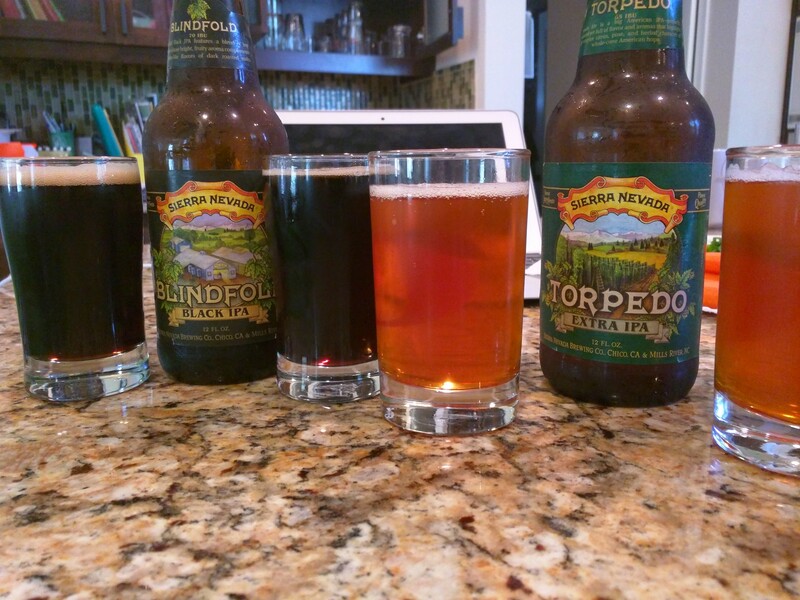 First up, Torpedo Extra weighing in at 65 IBUs. This is one of Sierra Nevada’s easier-to-acquire beers available in various sizes and quantities. It’s a nice color with a standard IPA hoppy aroma. It feels like a typical IPA. For me, it is relatively smooth (given the IBU and ABV), nice tasting IPA. My wife, on the other hand, gave me the instant bitter beer face. All in all, it’s a nice IPA. It doesn’t make me want to slap my momma like the Sierra Nevada Neomexicanus or is as smooth as the Lagunitas IPA, but that’s okay. It’s a decent showing, but is it enough to win out in Round 1? 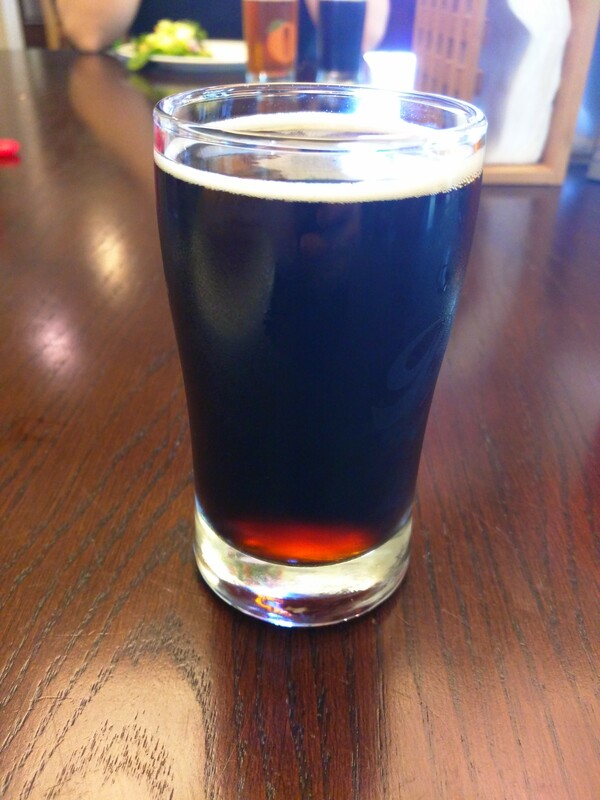 The Blindfold Black IPA. The dark horse of the pack. It’s a little lighter on the alcohol but brings the hops at 70 IBUs. This was a wonderful beer to drink. It brings a complexity to the IPA rarely found. The roasted flavors make it a joy. I picked up on both typical hop flavors and flavors more common to a stout—coffee and whatnot. My wife gave the thumbs up to this one, swearing she picked up a bacon flavor. I never picked up on it, but hey, if you like bacon, maybe coffee and hops is close? I really enjoyed this one. Both beers were well-made—no question there—but the Blindfold is a beer that I can see myself suggesting to someone when they’re hunting around for something solid, unique yet comfortable. No split decision here. 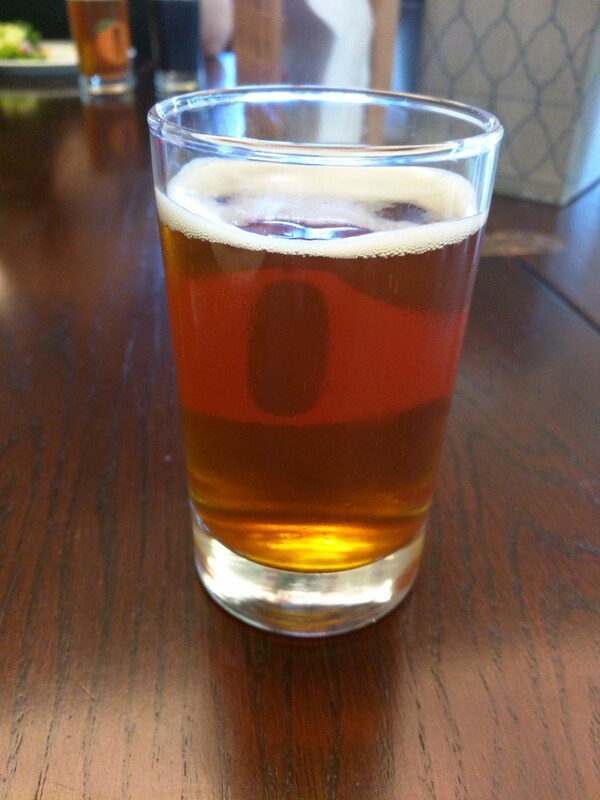 The Torpedo is a fine beer, but it is one of many well-made typical IPAs. The Blindfold mixed it up, practiced late into the night, and, in the end, came out on top. It’ll advanced to the next level of the tourney against the winner of Ruthless/Golden. 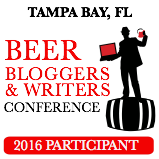 This entry was posted in American IPA, Beer Style, IPA (India Pale Ale), Sierra Nevada and tagged beer, Blindfold Black IPA, review, Sierra Nevada, Sierra Nevada 4-Way IPA Pack, Torpedo Extra IPA. Bookmark the permalink. I was the biggest fan of the Golden IPA out of that pack, excited to see what you think about it. If you “slap your momma” I am sure that your wife will leave you and then you would be stuck raising all those girls by yourself and wind up drinking all the craft beer in Austin in one sitting just to get by.